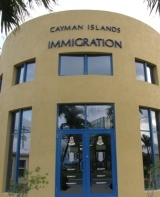 (CNS): Well over 500 foreign workers out of almost 1,500 who originally held Term Limit Exemption Permits (TLEPs) have left the Cayman Islands, according to government officials, but the rest are still here. Of the 1,459 TLEP holders on island when government changed the immigration law allowing them to stay, 576 have applied for work permits, 274 have been granted a further work permit, 8 remain on Island as visitors and 547 have left the country. Despite concerns that the immigration department would be dealing with a surge of applications, only 54 have so far applied for permanent residency (PR). Those who have applied for PR will be judged on a new, stricter set of criteria and not everyone will qualify. Fees have also been increased for those who seek permanent residency. Government said it aims to only grant PR to those people who can have a positive impact on the country. It is not intended for those that would become a risk or a liability to the Cayman Islands. The number of people on TLEPs who have applied for PR affirms the belief of the Progressives government, officials said in a release Friday. “We knew from the outset, and even stated, that not all of those people on these special permits would want to seek permanent residency and the numbers show that we were right,” Premier Alden McLaughlin said. Those on the exemption permits that wanted to stay in Cayman had to apply for new work permits under the reformed Immigration Law, which was steered through the Legislative Assembly in October. According to the release from the premier’s office, government is working with employers to ensure that Caymanians are hired for jobs vacated by those who held TLEPs through the National Workforce Development Agency. Although officials said the departing workers left 547 positions open that could be filled by Caymanians, they did not say how many were or how many were filled by new permit holders. Independent MLA Ezzard Miller recently stated that government needed to give a detailed update about how many Caymanians have been placed in work as a result of the planned assistance, which it said it was giving to local workers at the time of the immigration reforms. He said he had grave concerns that the push to get locals in work did not happen and the government has done little or nothing to address the continuing problem of rising local unemployment. Term Limit Exemption Permits were introduced by the former UDP government. Most of those on the special permits had been working in the Cayman Islands since 2005 and 2006 and would have been required to leave upon reaching their seven-year term limit. The UDP government amended the law in such a way that all TLEPS expired in October last year, something the Progressives’ government deemed as disruptive to the country and the economy. “We would have had close to 1,500 people with dependents leaving the country at once; people not buying groceries, not paying rent, not buying gas. It just wasn’t in the best interest of the Cayman Islands,” said McLaughlin. The government has said the second phase of Immigration reforms will be made this year and focusing on the work permit system, in particular the relationships between the granting of work permits and unemployment amongst Caymanians. A committee is slated to make a full report to Cabinet in April. If someone comes to Cayman for a job on a work permit and after a year or two a Caymanian with the same qualifications comes in and applies for his job. Does the law say that the Expat should be let go on the spot so the Caymanian can be hired ? I believe the law says the Caymanian should be given the job. I don't believe the law says the expat should be let go on the spot, but I guess unless other vacancies exist that the expat could fill, then they would have to be let go. The Premier says that if the 1,500 Term Limit Extension Work Permits (TLEP) persons left the country at the end of October it would have been a national disaster. Is this really a fact? Was the population really going to be reduced by 1,500 persons? 574 TLEP persons left our country after the October Immigration Law amendment was made. Did we have a 1/3 national disaster? Why did government not release the number of work permits that have been issued or are in process of being issued to replace the 574 TLEP workers who left the Cayman Islands? If “Rollover” had been allowed to work as intended, then long before the end of October, employers would have made decisions to get replacement foreign workers on work permits or employ a Caymanian. If the TLEP was replaced by a Caymanian changing jobs, that would result in a job opening with the great possibility that a work permit would be issued for that post. In this example there would be no net loss of workforce numbers. Mixed confusing signals from Government stopped the “Rollover” system that had been working very well up to 2009. Before businesses lobbied Government to make the changes to benefit them and ordered government to stop “Rollover”, there was the orderly departure of thousands of workers breaking their rights to apply for Caymanian Status and the arrival of thousands of replacement workers on new work permits, thereby reducing the number of persons and their dependents obtaining Caymanian Status. The “Rollover” system was protecting future native Caymanians from fast becoming an ever decreasing minority in their own country. The few released statistics begin to tell another story, 274 TLEP persons have already been granted work permits. If the “Rollover” had been allowed to work, then ALL of these persons would have been one of the thousands who in previous years were “Rolledover” or new to the Cayman Islands. So the 1,500 person net population decline is reduced to only 1,336 persons. But that is not the end. 576 TLEP persons have applied for work permits; past statistics show that most of them will be granted work permits. Therefore a total of 850 TLEP (274 + 576 TLEPs) jobs would have been replaced by persons either returning towork in the Cayman Islands or new to the Cayman Islands. As a result of the now known and anticipated work permit grants related to the TLEP fiasco the few immigration statistics released tells, there could have been only a net loss in population of 650 persons (1,500 – 850 = 650). But wait a minute – how many of the jobs vacated by the 574 TLEP work permits that were not renewed have been replaced by workers on new permits? This again reduces the net population decline that government said was going to be so disastrous. How many Caymanians were denied jobs or could not work at the low wages some of these persons on work permit are paid? How many Caymanians will be denied jobs when most of these work permits are granted? Any which way it is viewed, the October Immigration Law amendment is disastrous to Caymanians and only beneficial to those that lobbied Government to make the changes to benefit them. You are so wrong on so many fronts – it is not even worth my time to tell you why. Get educated, get informed and then comment. You used the words, "if rollover had been allowed to work as intended". You also state that "the Rollover system that had been working very well up to 2009". I am curious. How exactly is rollover supposed to work? What exactly is the intention of rollover? What do you mean when you suggest that it had been working well? I have never understood what the point of rollover was. I do understand that it has created economic uncertainty and instability in the country which in turn has discouraged me from investing here. I won't buy a home here with the knowledge that at any moment I could lose my job and be asked to leave the country. What is the point of forcing someone to leave the island after 9 years of contributing to the economy only to have a fresh permit holder come to take their place? Rollover is a simple mechanism used in various jurisdictions to break the stay of guest workers before they are able to qualify to apply for the permanent right to remian in that jurisdiction. As an example the USA has the so called "Green Card" for those pesons who are allowed to immegrate permnently to the USA. The USA has a variety work permit visas with different rules. Some of these work permit visas require the person and their family to leave after as short a period as three years then they can return under a new work permit visa after being out of the country for a set period of time. In these circumstances if the worker wants to convert from a work permit visa holder to a pemanent resident then that requires a totally dfferent applcation process. If you believe that the Cayman Islands Immigration is complicated, then try the USA which has over 60 different types of work permit visas and there are many other types of visas. We have to limit the number of persons working and living permaently in the Cayman Islands in order to give our "indegenous" Caymanians a chance to survive. The uncertaintity associated of Rollover exists because of a system that is not applied equally – when the right person knows you then you can get arround the law – to use another word, corruption. Without any apologies not all who come can stay permanently. Presuming you are from the Uk, just follow your own country's news and you will see why a good roll over policy should be kept in Cayman. I am NOT from the UK and it was a sincere question. The point is they they don't like to see foriegn people doing better than them in thier own country..And they think that you are going to be a burdon on them. PS – I could have been training someone to take my position for the past 9 years but all my attempts to mentor someone have failed. I have signed up to take work placement students and to give work experience to people. To say that the results were a failure would be an understatment. Of those that left can we know how many of those jobs were filled by Caymanians after the expat was kicked out.. Ezzard, wasn't this your goal ? can we know of the results please. Or was it all BS.. Yes, I say yes, remove the expats if there is a Caymanian person available to fill the spot. They do it in the U.S. … its called affirmative action. They have such laws in Australia, New Zealand, Israel, France, Germany, India, United Kingdom, Bahamas … where are you from? All countries look out for their own nationalities or endeavor to do so unless they don't love their own people. If you have a family business, would you allow the best qualified expat in the business to take over the ownership of the business, or, wouldn't you pass it on to your son or daughter who is your flesh and blood as sole owner? The Italians do, the Mexicans do, the Puerto Ricans do, the Jamaicans do, and guess what? Caymanians will do tooo! Get real! If you don't like our system, I am sure you have a better system from where you came from, or can find one as good as our system! Go! I would prefer you go back where you came from and build up your country, or is it the money, the bling bling that brings you here??? Still doesn't answer the question I asked, so it must have been all BS..And for you information I am from the US and not here on a work permit I just happen to be able to afford to supprt myself, so its not the money that brings me here in fact its me that brings my money here.. I was just asking if Ezzard had any Luck. But no one seems to know.. Affirmative Action is a form of reverse or affirmative discrimination whereby historically discriminated persons are given an economic advantage due to past, gross, disadvantages suffered by said groups for reasons of race, gender or ethnicity. How does this apply in any way to Caymanians? Caymanians have historically been given a huge advantage, not disadvantage in all aspects of business and employment. Frankly, businesses are forced to hire an substandard Caymanians over much more qualified expats. In Bermuda they put Bermudians in jobs even though they are not qualified. This makes up the numbers to show that a lot of Bermudians are employed. Not a good thing to put a person into a job that they aren not qualified for just because they are Bermudian. I say, let Caymanians hire Caymanians as I don't understand why so many Caymanian businesses hire expats. I have heard in Canada that Canadian employers will hire foreigners as it is cheaper for them. And in Cayman, Canadian employers employ Canadians. Go figure! Shame on you "Just FYI" You certainly ARE part of the problem!! As an MBA educated black woman I resent your comments. No one wants Affirmative Action, just a fair shake and you are wrong. I personally know of a CPA, Law Degree Grad, IT Exec, and Teacher all with degrees here in Cayman, all with excellent references, and all hard working who are UNEMPLOYED right now and have been seeking jobs only be passed over by expat applicants so please explain THAT? What about when a qualified local comes up for your job? The ethical employer will hire the local and feed a family for generations, the unethical law breaking employers will find fault with local applicants, grease their buddies on the Business Staffing Board and breeze through Immigration. Shame. I'm not talking about unemployed low wage workers (sorry, but I worked as a waitress through university so apprecaite blue collar work) but these are people who do not have the benefit of a 300 million person North American workforce or 70 million in the UK. We get our degrees and work hard to be passed over? Hi, I am trying to understand your post and have a question. If someone comes to Cayman for a job on a work permit and after a year or two a Caymanian with the same qualifications comes in and applies for his job. Does the law say that the Expat should be let go on the spot so the Caymanian can be hired ? While I see valid arguments in both of your comments, I must say that the only one that appears to be a hateful bigot is you. You might have a good reason to be angry, but your anger takes away from you argument when you start insulting people you don't know just because they express a rational opinion that differs from your experience. If you're an MBA, you should act and write like one. The UK doesn't "remove the expats". Yes, if a skill isn't on the shortage list, you won't get a work permit. However, if you do get a work permit (an initial WP can run up to 5 years), you also get full human rights. Keep the right side of the law and do a good job for your employer and you can get permanent residency after 5 years and nationality in 7. It took the UK 10 years to deport a convicted terrorist back to the country he was born in, there are so many protections on a person's human rights. There are also many other ways for a foreigner to stay in the UK for 5 years (usually at the taxpayers expense) and then apply for permanent residency (called Indefinite Leave to Remain in the UK), after which they are free to work wherever they want. And US affirmative action laws were to combat racism within business in the US – they are nothing to do with immigration policy. 09:36 There is not such a thing as DESERVE IT. When we are over full everyone is going to suffer including those that we give PR to. People come here and make alittle money and send and also take it back home and they are satisfied. That dosent mean that they deserve for us to give our heritage to them. Hope you will wake up one day out of your dream when you too are suffering. Taxation will have to be put in place to take care of the mess. Watch the ads in the newspapers…all "taylor" made for TLEP's or potential work permit holders. PPM is no different from UDP..Same sh#t different day!! Of course you only "grant PR to those people who can have a positive impact on the country", but I think the real story lies in the question of who is leaving? Of the 1,459 TLELs, 547 have now left, and if they were the leaders of businesses I'd like to know if new permits were issued, Caymanians were employed or the business hit by this just contracted or closed. I keep seeing PR get harder and harder, and as that happens I also see Cayman's economy shrinking further and further. I think it's also telling that of the 1,459, only 54 wanted to stay permanently. Does that mean everyone else is thinking "screw it, I'll just wrap this up and then go home"? The government obviously knows that having the business people and the consumers leave has a direct negative effect on the economy, so is anyone studying the actual effect on the economy of making PR virtually impossible? I expect the economy would stall completely as businesses withdraw to Canada or Ireland or other off-shore jurisdictions due to staffing problems, and non-CIG unemployment reaches nearly 100 percent. Any studies on that? the ppm actually made a bad situation worse………just ask any business owner…..
Another example of Ezzards hot air policies. Where are the Caymanians queuing up to be employed and where are all those terrible TLEP holders who were going to stay as PR's. Why hasn't the BS figure of 2000 unemployed been reduced by 25% since October and why hasn't Miller apologised for causing unnecessary upset amongst the expat community and anxiety amongst his own dead head followers for making his nonsensical claims? Ezzards attempt at driving a wedge between expats and Caymanians has backfired again, all he has succeeded in doing is expose his own lack of integrity. It's not about Caymanians being 'placed' in jobs, it's about how many remain for an acceptable period of time in those positions and their productivity when employed. Until these questions are answered the whole sorry saga of unemployable and plain idle Caymanians will remain. Errr, the people you voted for? And of the 54 how many has been granted or will be granted. Would be amazing to know…. Those that deserve it. No more, no less. Don’t worry, you’ll be old and grey before they ever get around to reading the applications (or finding where they put them). Oh, I cannot wait for a legal challenge on our PR law. It is sooo very flawed and in violaton of human rights nearly every front. Really, what are you goons thinking? It is sick that any despot government can changes PR fees on a whim for those that have already received PR. You are killing businesses. Not that you seem to care. Really? If you receive PR today and the fee is $1000, the next obtuse govt. can change it to $100,000 and you must pay it for 8 to 800 years? 800 years because, guess what? If govt doesn’t do their job, and deal with the status applications, they just charge the new and improved, insane, bloated fees again, and again. So the more inept they are, the more money they collect. Wow, that is a great business model. They are charging applicants for services that cannot possibly be rendered, then re-charging applicants for their incompetence. And my favourite… WTF with no rights for Caymanian children of foreign mothers be they legit or not. How many of them are family to me, or you, or any pol? And instead we penalise our own children by forcing their mothers leave Island or charge them so much they have no other option. If our pols and ‘men’ don’t want to care for their children then they need to buy some rubbers, because once the child exists it is as Caymanianas they are, no manner how much they try to shaft him or her. Get off your High horse. Having an English child, an American child, or a Caymanian child affords no automatic right to live in any one of those countries. Anything else would create unwanted children of convenience. Check your facts before asking people to get off "high horse" – having a child in many other countries JUST result in automatic benefits for the mother. Not saying it should or should not but what do you think the fuss has all been about with illegal immigrants crossing borders to have babies??? And when they rush accross borders to have babies the babies can stay. The mothers – they get deported. I do not know where you got your info, but…If you are born in the US, you have US citizenship by birth. I know because I have it. And you're filing your taxes in the USA, right? You just knoiw that NSA intercepts have tracked the precise IP address from which you posted your comment, the CIA has provided the physical address and occupant list of the residence at that address, and the IRS are about to receive a memo from them to look out for your prior filings so you can be prosecuted if they aren't there. The only remaining question is if the NSA lets this post be posted (hi guys). You do. Your parent didn't. And by the way, the US is only one of a very few countries that give citizenship based on birth. Not in the UK bobo. Let's do the DNA tests first before we decide that. If they are lucky the first one might be their's. Of course they get pregnant and teh stupid Cayman man marries them before the baby is born and no dna test is required. Hopefully this proves to those fools that the ppm did not sell them out on immigration reform. To the contrary the have made it extremely diificult except for the uberbrich expat to get PR. The irony is that the island will likely suffer as a result, but you reap what you sow. Goodluck cayman, because by golly you will need it. You can't make a silk purse out of sow's ear. Training is not the real problem. And this still does not address the key issues of appropriate training for Caymanians or other issues relating to work ethics amongst some (but by no means all). Unless that minority wakes up to the fact that they are virtually unemployable and they realize they have to compete with a world class work force, Cayman will have this issue forever. CIG has to stop sticking its head in the sand on this too. There is ony a very small relationship between UNEMPLOYMENT and WORK PERMITS. Sorry. But there are experienced and degreed Caymanian professionals being passed over for work permit renewals. Until this stops and Immigration Boards (and Business a Staffing Boards) do there jobs this problem of unemployment leading to taxation on the social services programs will continue. All you Caymanian haters should be ashamed of yourself. We should all want zero local unemployment Better training and better education. If we groom our own to succeed then manyproblems go away. Why don't these people make this known, they can approach the media with thier stories.. They have – but to seemingly corrupt regulators who do nothing! It's 'their' not there…..!!! Like you say, focus on Education first! Oh my, what in the world are you talking about? Are you trying to say "their are" is correct English syntax? If so, my friend, you need to go back to remedial English classes immediately. No, that is not what I am referring to. if you read the whole comment you will spot the mistake! 'Their' is a possessive adjective. The number of people who do not know the difference between the use of 'their' 'there' and 'they're' is shocking, as is the general standard of written English in Cayman. You only have to read the forums! You obviously only paid attention to the 1st sentence and then proceeded to chide the poster, thinking the poster was referring that sentence. Well, if you had taken the time to read the entire post properly, you would realize that the poster was referring to the 2nd sentence which contains the incorrect grammar. As the poster correctly pointed out, the word in this sentence should be "their" not "there." Next time, before shooting off a quick retort to try and correct someone, take the time to read thoroughly so that you do not end up with egg on your face. Proper reading and comprehension is very much a critical part of a proper education. Give it a rest everyone, it was a freaking typo, any intelligent person can ascertain what his point was so stick with the topic please..
but a larger one between underemployment?? I do believe we have to fix tis problem at both ends. We need Immigration to reverse their decade-long cronyism trend and enforce the hiring of locals if they are qualified and apply, but at the same time we must insure (via training, vocational, probation periods) that what we offer to employ is a quality product of a good education system. I also agree that we as locals must stop thinking that 10 sick days a year are vacation days and offer a good work ethic and attitude. Entitlement has no place in Cayman. This is a 2-pronged approach and we must all work for a better local workforce.